A year of space will do some strange and unpredictable things to your genes, according to preliminary results in NASA’s ongoing twin study — leaving scientists equal parts fascinated and puzzled. The 342 days astronaut Scott Kelly spent aboard the International Space Station were just the first steps in an audacious effort by NASA and the world’s scientists to determine exactly what the effects of long-term space duration are on the human body. Kelly’s mission was just the first of many one-year (or longer) missions NASA wants to conduct — but Kelly’s will remain perhaps the most important of any of those. Why? 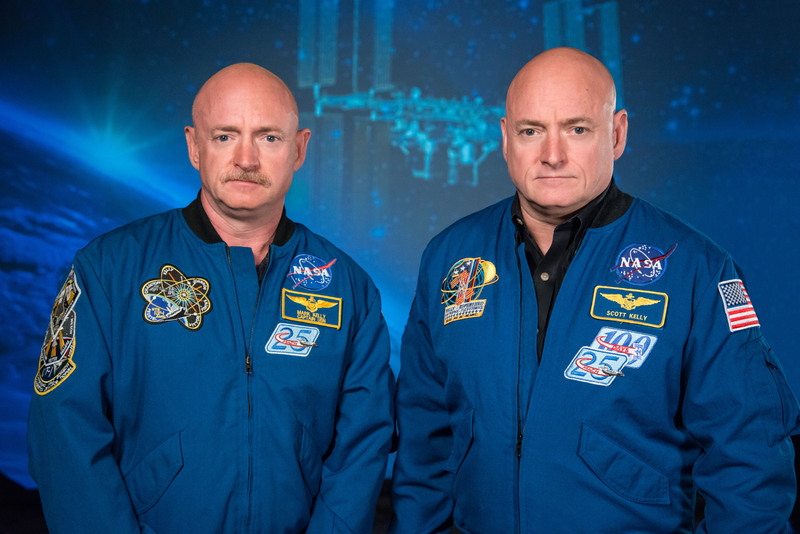 Scott’s identical twin brother is astronaut Mark Kelly. They are more or less the same person, in terms of genetics and physiology. As such, NASA ended up stumbling into a prime situation for scientific study in which they had a control. While Scott is up on the ISS and letting space, well, happen to his body, Mark is here on the ground living life like a normal person. Once Scott completes the mission and comes back to Earth, scientists can observe how space has affected Scott’s body and compare them against Mark. As part of the twin study, NASA scientists took biological samples from both of the brothers before Scotts flight, and after the mission was over. Sifting and analyzing these samples at the genetic level is a slow, intense process. Luckily, we’re starting to see some of fruits of that laborious work. The biggest thing we just learned is that Scott’s telomeres grew longer than his brothers while he was in space. Telomeres are the ends of chromosomes that contain redundant DNA. They don’t code for anything, they just exist in order to protect chromosomes from deteriorating or fusing aberrantly with other chromosomes. They shrink a little each time they replicate. So for telomeres to get longer is a strange occurrence — especially in space. “That is exactly the opposite of what we thought,” Susan Bailey, a radiation biologist at Colorado State University in Fort Collins, told Nature. Scott’s telomeres shrunk back to their pre-flight levels soon after he returned to Earth, which scientists are also at a loss to explain. Ultimately, both effects are mysterious, but the’ve encouraged scientists to dig deeper and to pay closer attention to telomere length in studies on other astronauts. Another strange thing happened to Scott’s genes while he was in space. DNA methylation — the addition of chemical marker onto DNA in order turn on or off certain genes — increased in his body as well. Again, those levels went back to preflight levels after Scott’s mission ended. It’s unclear exactly why this happened, or what genes were affected — and certainly more analysis will be required. The twin study is the most prominent in an emerging field of research that’s acutely digging through how space travel affects life on a molecular level. Thanks to more modern technology and a furious new interest in deep space travel, “space genetics” is finally coming to life as a powerful discipline which will be critical to future societies where living in space has become a more normal way of life.